CALL OF INNOVATION: Small Moves! Big Impact! 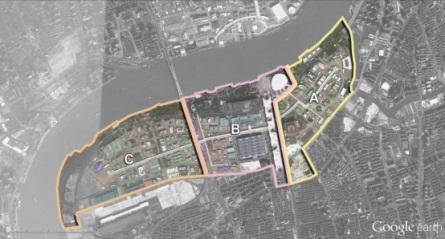 Context: Implementation of a new CBD in the eastern part of Shanghai 2010 Expo site: « Better City, Better life ». 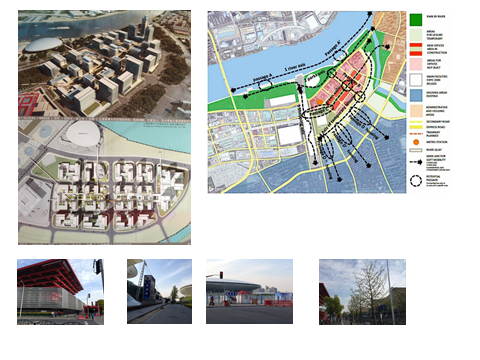 The goal is not to transform the master plan in its main lines, but to make additions as a set of passages interconnecting the different parts of the site, the area with the city, with its direct surroundings and the transportation nodes. 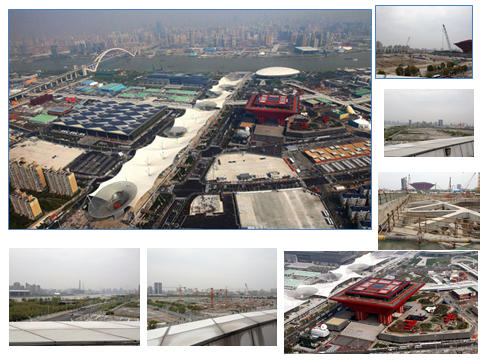 What kind of passages can be created in the Eastern part of the Expo 2010 site? How to create a real living urban district, managing connections from metropolitan mobility to soft mobility with a diversity of uses? How to link the site to its natural and built environment? Shanghai is known for its investments in public transport: new subway lines, buses, development of roadwork have widely contributed to its development. To develop intermodality and the reasoned usage of the various ways of transportation, it is necessary to pay attention on the quality of spaces that facilitate change from one mode of transport to another, which open up the often mono-functional neighborhoods that call to heart human scale of course with bridges, walkways, pathways. These places are not only functional infrastructure, but also can be genuine public spaces that offer perspectives on the landscape, home to a variety of uses and activities, are spots guidance and information, facilitate walkability and cohabitation of speediness and slow. 01.11.2014: Launching of the competition and opening of the website with presentation of the competition topic and the site’s file, the elements necessary to the candidates to make a candidacy file. + Public presentation by the jury in Tongji University: argumentation of the awarded prizes and recommendations to EXPOLAND for further actions. The results of the competition will be presented in exhibition and publication by Shanghai organizer. IVM international will promote the winner’s results and organize international events. 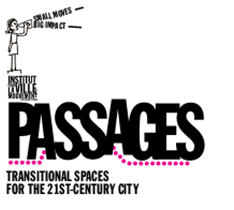 The Passages Program is an Action-research project in partnership with the cities of Barcelona, Buenos Aires, Montevideo, Paris, Santiago, Shanghai, Toronto, Tours, Valparaiso, Paris… for the implementation of demonstration projects, academic exchanges and architectural and cultural events.